Luciano Pavarotti, Sesto Bruscantini, José Carreras et al. 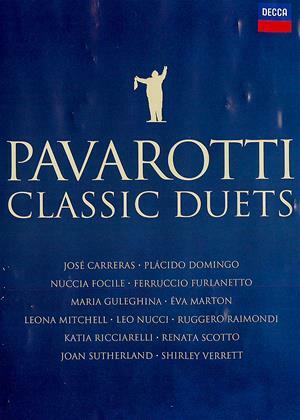 Relive Pavarotti's greatest duets with a myriad of opera stars from Placido Domingo to Joan Sutherland. Featuring performances from La Boheme, La traviata, Tosca and many more, this collection also includes an excerpt from a 1981 Metropolitan Opera performance of Rigoletto.